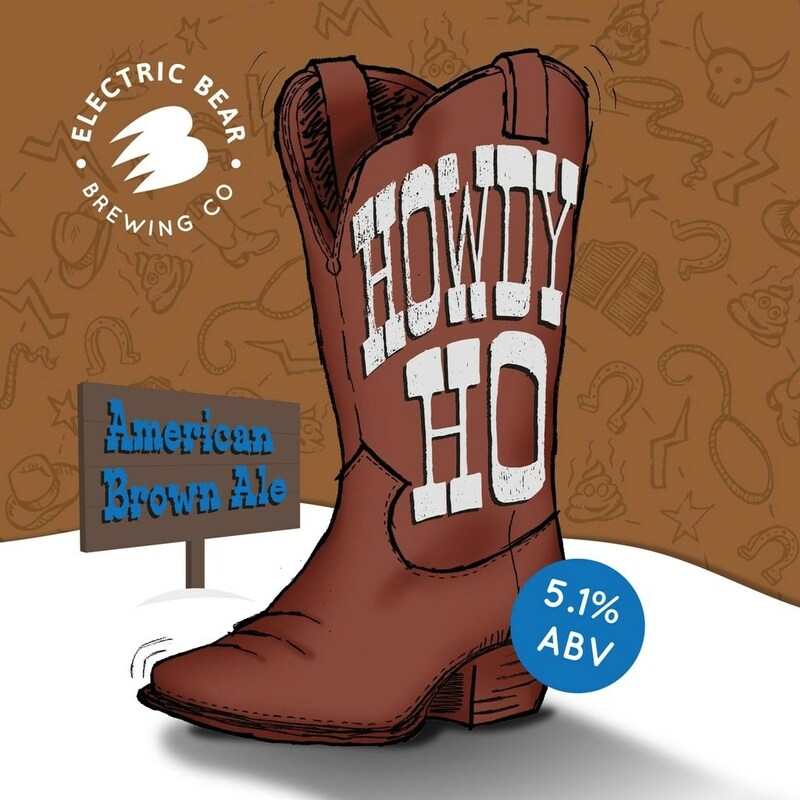 Here’s your cheat sheet for Howdy Ho by Electric Bear. This is an unfined, unfiltered, unpasteurised natural beer. As such it is suitable for vegans. Featured in main subscriber box on 8 February 2018. Find the brewery on Twitter at @ElectricBearUK and on Instagram at @electricbearbrewing. Serve this beer around 8°C or 9°C; about an hour in the fridge should do it. 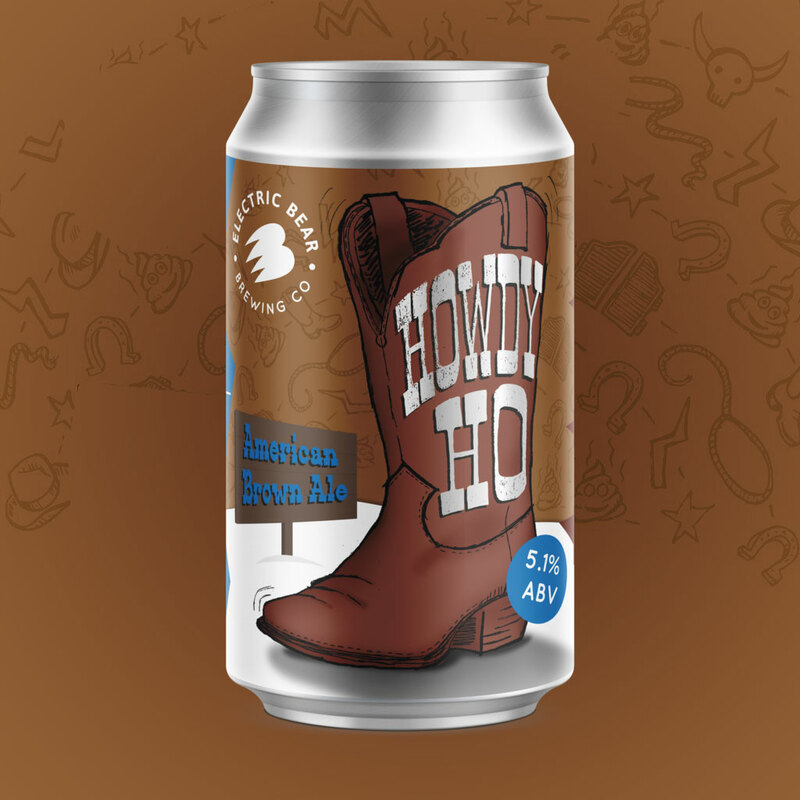 As with most styles that start with ‘American…’ you can trace its routes back to a style in a European brewing tradition – often English – and then chuck a load of fruity hops on top. More or less. The brewers describe this beer as “balanced and beyond drinkable”. There’s smooth malts, caramelised sugar and a healthy helping of grapefruit to finish. The malts used were pale malt, Cara medium, Cara blond, chocolate, Special B, Oats, and torrified wheat. ‘What is torrified wheat?’, you may be wondering. It’s wheat that’s been ‘popped’, much in the same way as popcorn but without the addition of salt, butter, and a massive financial mark-up. The torrification process exposes the wheat’s internal structure, allowing for rapid hydration. This gives enzymes easy access to the starches and proteins contained within the grain. It’s often used by brewers to add body and head to their beers. Want more torrification information? Just follow this link to geek out on further detail (and I mean detail). Nuttiness of the brown ale style can match very well with the nut notes of some hard cheeses like Gouda or a young Comté. This can go from nutty to roasty, so grilled red meats should also work very well. We may have a steak ‘n’ ale pie situation here. Lamb, duck, and pork should all work well. For vegetables look towards mushrooms, beans, even caramelised onions. And, apparently, pear fritters. Is that a thing? Read more on this beer from BeerBods and Electric Bear.